"Melancholy was the dominant note of his temperament, he thought, but it was melancholy tempered by recurrences of faith and resignation and simple joy." James Joyce, "Dubliners"
Yet like many artists who find that quitting their day jobs ends up sullying artistic passion, the trials and tribulations of professional life had left me numb to cities I once loved. During a lengthy visit to N.Y., a place that more than any other helped form that spark, I wandered about in a daze, so weighed down by the need to produce knowledge about the city and by difficulties in taking that next step in a career now built entirely around cities, that I could not enjoy the city itself. As my angst reached its apex, an expensive travel snafu left me with a stopover in Dublin. I extended it to 12 hours, hoping that a quick trip to a city I knew only from songs, legends and snippets of Joyce would reignite that spark. Few cities embody the manic possibilities of raucous joy and deep misery like Dublin (Rio? ), one of the few cities of the Global North in which the postcolonial is at the center of public life and both emigration and immigration are constant. Armed only with good instincts and a map picked up along the way, I lost myself in the perfect city on a perfect day. I watched the sun rise over Trinity College, swapped travel stories with my bus driver, wandered the back alleys behind the Dublin Castle, and took deep breathes in the malted environs of the Guinness factory complex. 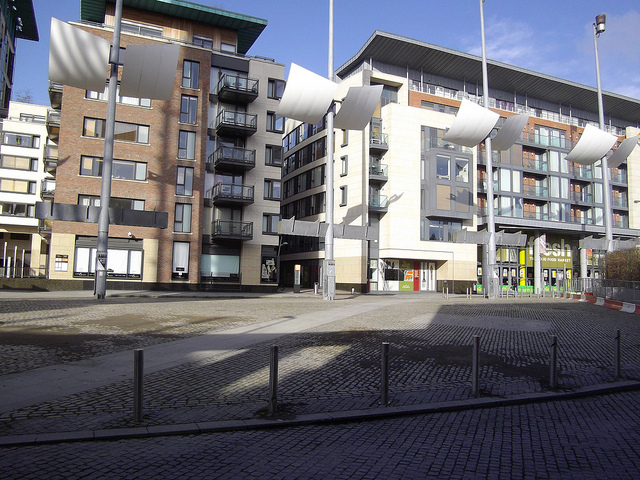 A cute TV producer showed me the way to Smithfields, where young men with big dogs shared space with the Celtic Tiger's seemingly stalled redevelopment dream, as if their were not enough bourgeois to fill up Dublin's "new urban quarter." I drank a pint of the "black stuff" in an old wooden pub while watching Liverpool fall apart against Arsenal, climbed into the bells of Christchurch in medieval Viking Dyflin, ate free-range Irish chicken in a tortilla from a food truck, and discovered that the coffee in Dublin is as bad as in Paris. But with all due respect to Sinead O'Connor, nothing compares to The Liberties. If I had known anything about Dublin before I wandered about, I surely would have sought out this neighborhood. 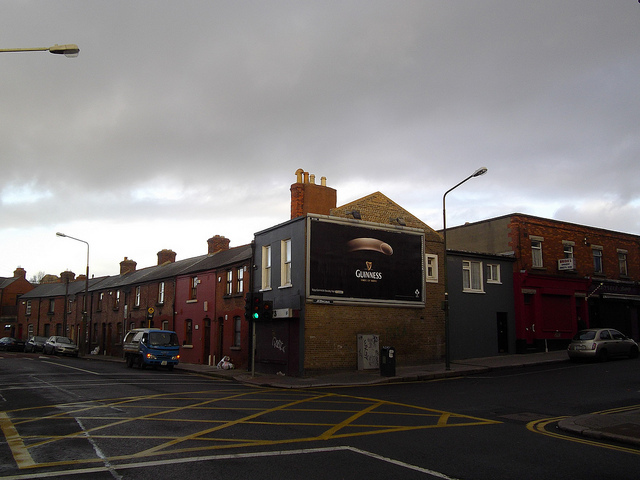 The Liberties was founded in the 12th century as semi-autonomous zones granted by the English crown to various church actors. 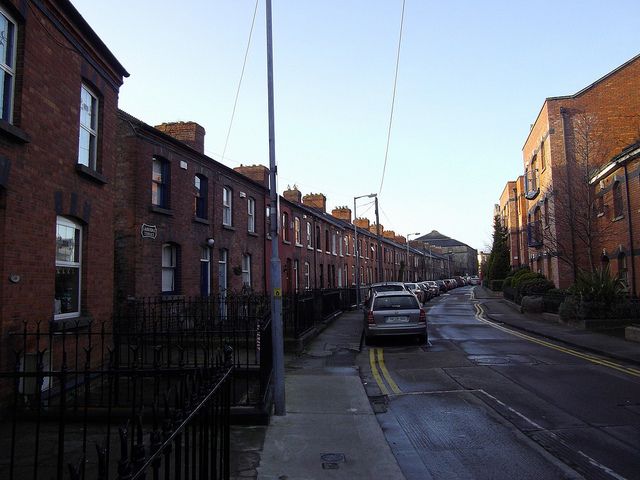 It is a warren of antique stores and industrial zones, row houses and small shops, council housing and cottages, the latter tucked down passageways and part of Dublin's dizzying architectural diversity. One can see and sense the knife-edge line between joy and sorrow, poverty and prosperity, reinvestment and decay. The neighborhood is a stunning example of why urbanists who would rush to calculate "improvement" or "decline" should pause and ask themselves deeper questions about what this means. 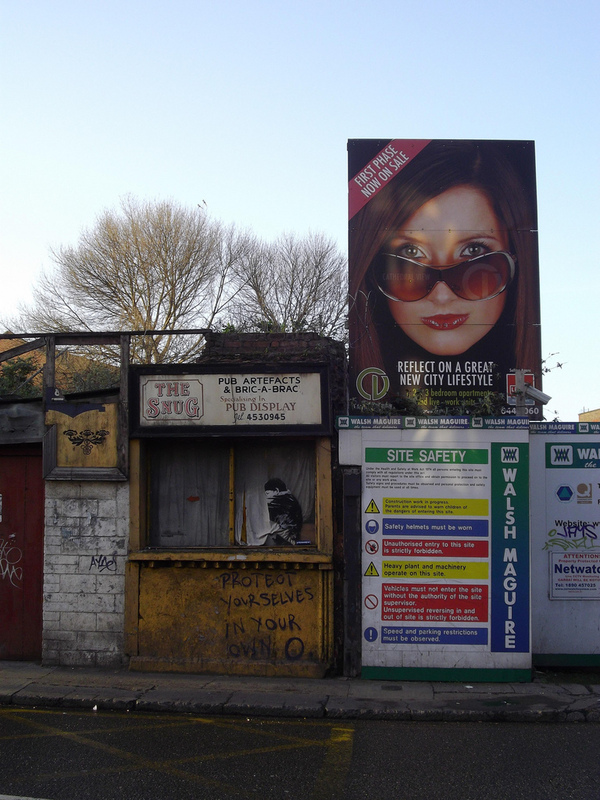 No place seems to embody The Liberties like Meath Street, the commercial heart of the neighborhood. This is the closest approximation I have ever found to Jane Jacobs' Hudson Street of the 1950s, replete with a character Jacobs herself would have had to invent if he did not already exist: Jack Roche, green grocer, unofficial mayor of Meath Street and secretary general of the "United Nations of Fruit and Veg." As the sun grew stronger on surely the nicest March 3 in Dublin history, it was the sound of loud Irish music emanating from Jack's store that made me sure that, like McMillan's Stella, I had gotten my groove back. Jack's gift of a clementine and deep Irish cheer would bring me back to his store for more stories, people-watching and clementines. It turned out that Jack is at the center of a brilliant documentary about the people of The Liberties by Shane Hogan and Tom Burke. The film touches on many of the questions of contemporary urbanism: culture, change, diversity, crime, economics and redevelopment. There is a neighborliness to Jack that embodies the best of contemporary urban nostalgia — a determination to provide continuity that is not opposed to newcomers, be they immigrants from China or a hapless Californian who stumbled off the plane in a Dublin dawn and found a city that reminded him again just why he loves cities. However, when I lived in Oporto, Portugal, it was always pleasant to get lost among it's old streets. Also in São Paulo, where I was born and live today, I sometimes feel the same way. It happens when you go to an old neighborhood and find that, despite of the car traffic and skyscrapers, yet there is some unique spirit that give personality to that urban fabric. When you can find it, it's priceless! May I Have a Seat, Please?